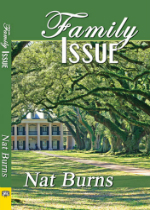 Family Issue (Bella Books) is set in southern Louisiana, near the Gulf of Mexico. Denni Hope, who grew up near Fortune Farm, has been asked by her ex-girlfriend, Patty Price, to investigate a rash of violence and vandalism which is plaguing the farm. Denni is a trained insurance investigator, and is quite willing to use her skills to help Patty. She is not sure, however, how she’ll feel about seeing Patty with Yolanda Elliott, the woman Patty left her for. Denni finds there has been plenty of violence and vandalism on the farm. Tractors have had their gas tanks sugared, baby goats have been poisoned, and Kissy, the adopted daughter of Patty and Yolanda, was hit in the back of her head and thrown into the bayou. Patty and Yolanda are grateful for the early swimming lessons they gave the four-year-old! All of this is puzzling to Denni, as the Price family has always been well liked in the community. Burns has populated her book with some delightful characters. Solange is a wonderfully over the top drag queen. The character, Ainchez Paulus, has opened her home daily to a wide variety of people, especially those who are not easy to pigeonhole, and also to young people. Her salons have become a good place to meet people, and to hear the latest news. Denni, although she has been gone for five years, is welcomed back into the fold. It is after attending one of these salons that Denni returns to Patty and Yolanda’s to find that a college friend of Yolanda’s has dropped by for a visit. Bonita Corcaran, a police officer from Richmond, VA., is drop dead gorgeous! “Bone” and Denni have instant chemistry. Bone and Denni team up to try to figure out why things keep happening at Fortune Farm. As they walk the acres, readers are able to get a picture of the landscape: the lake, bayou, sink holes filled with quick sand, and the profitable fields with alfalfa and sugar cane. They also speak with the farm workers, asking what they have seen and/or heard. As they work to put the pieces together, they also question what is happening to the family. John Clyde, Patty’s brother, seems angry, and he is drinking every evening. Patty and John Clyde both miss their mother who died a year ago. His drinking, however, is becoming more and more obvious. As the mysteries build, and tension mounts, one night Kissy disappears from her bedroom. 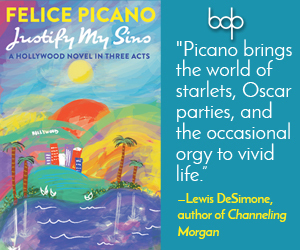 As the police and the family search for Kissy, family secrets are revealed, and the plot builds to a surprising climax. Nat Burns is an award winning author with seven published novels. Family Issue is a fun novel of romantic intrigue, as well as an armchair trip to the Deep South, without the mosquitoes and alligators! Rita Salner is a retired teacher, who has taught everything from preschool handicapped kids to teaching teachers how to integrate math and science. Salner taught for 42 years. Salner currently live in the high desert of CA. with her partner of almost 30 years. They enjoy life on a half acre with two dogs and three cats. 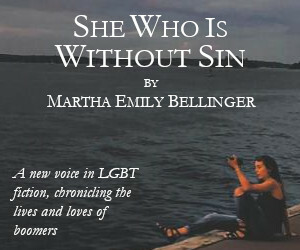 Salner has been reviewing lesbian literature since she was recruited by Barbara Greer of the famed Naiad Press.